Product Information-This Savic air bed for your dog is made of plastic so it makes cleaning the tub all the more easy. Just wash it with soap and water. The base of the tub is filled with very small holes to provide appropriate aeration to the bed and if it needs to be washed, it will help to drain the water from the tub as well. The aeration also helps to remove all kind of odor from the tub and ensures that it always smells fresh even with continuous usage. 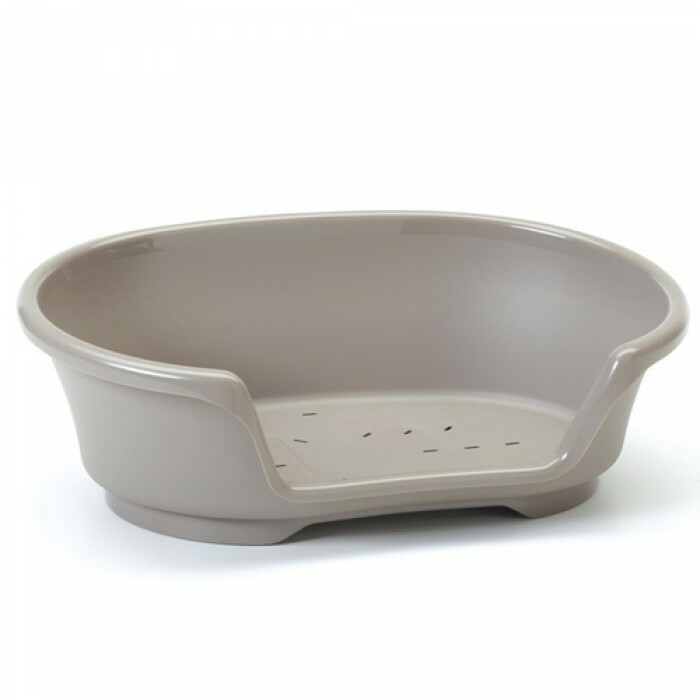 The tub is made of durable plastic that ensures that is non toxin for your large breed dogs.Let your pooch enjoy a comfortable sleep every time with the dog bed.